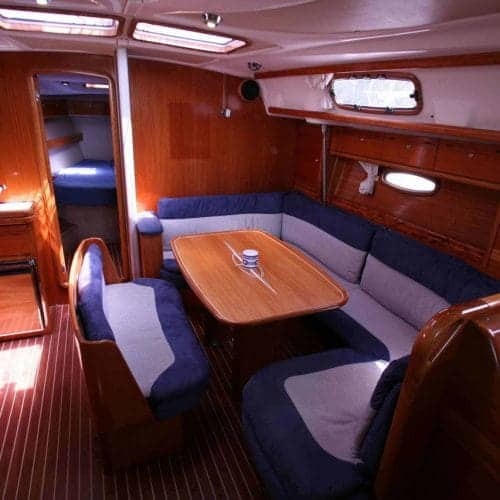 The Bavaria 42 (2001). 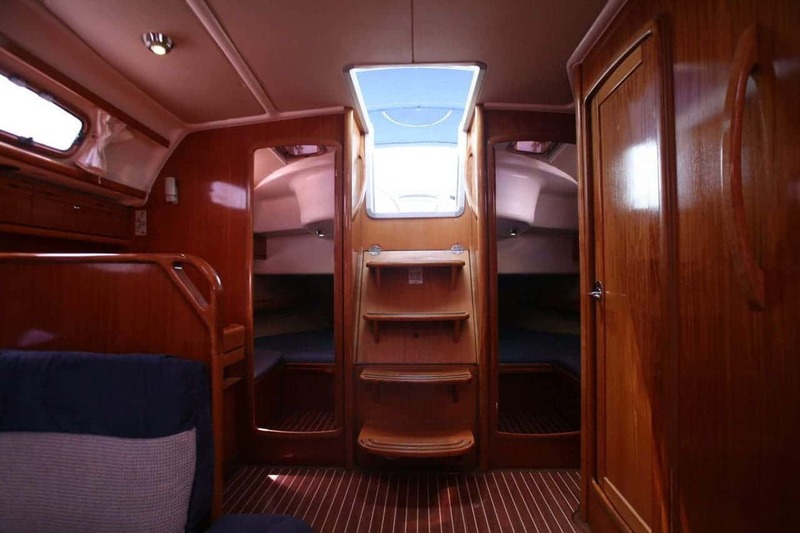 Yacht Caramella is a very popular reasonably priced yacht with 4 cabins. 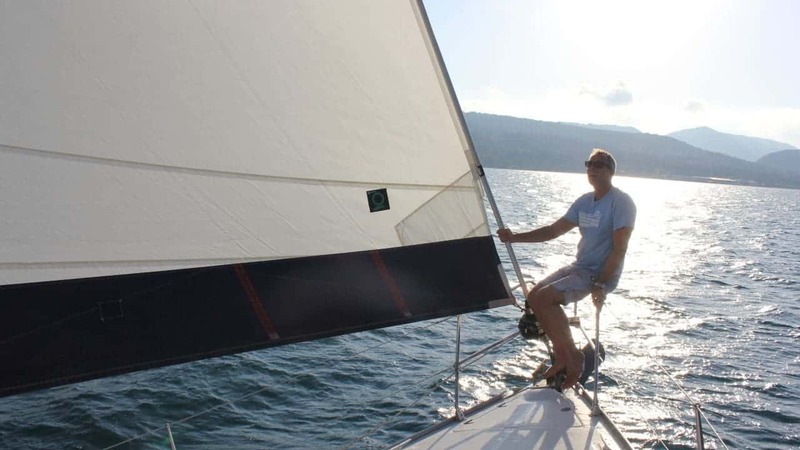 Even though she’s 42′ in length her ease of handling makes it a joy to sail and manoeuvre in harbour. 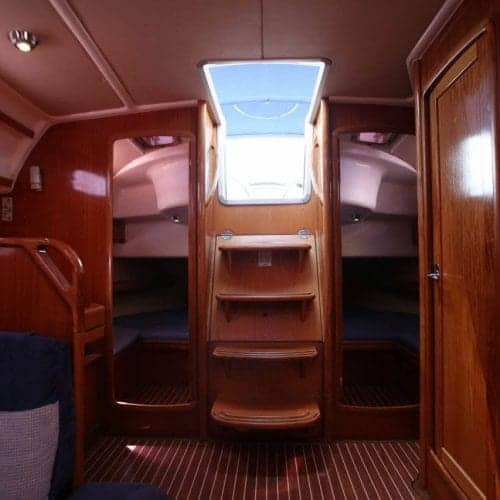 Although well used she’s in good shape for her age, and has been well looked after since she was launched. 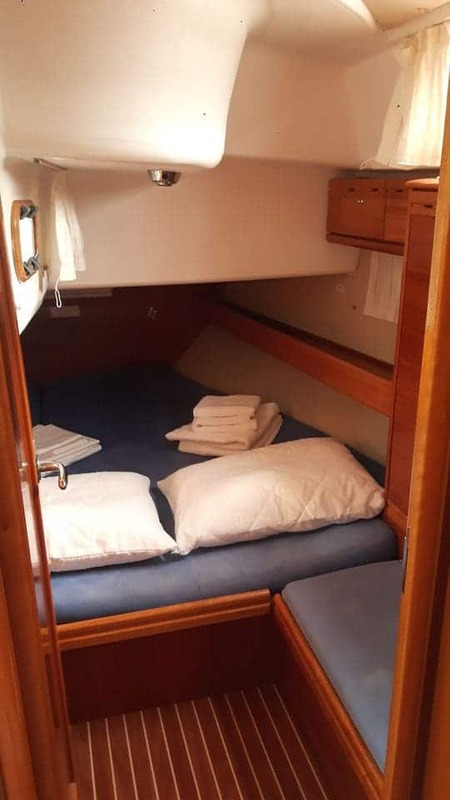 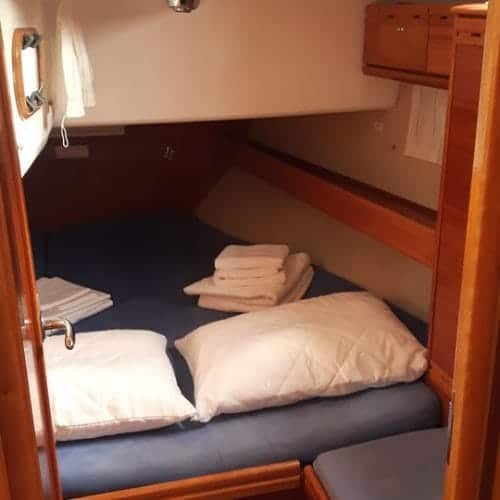 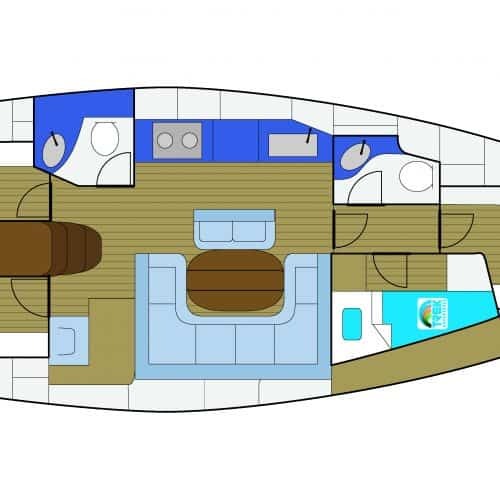 She can accommodate up to 9 guests in 2 aft (double bedded) and two front (one V-shape and one upper and lower banks) cabins, and one more person can sleep in the saloon. 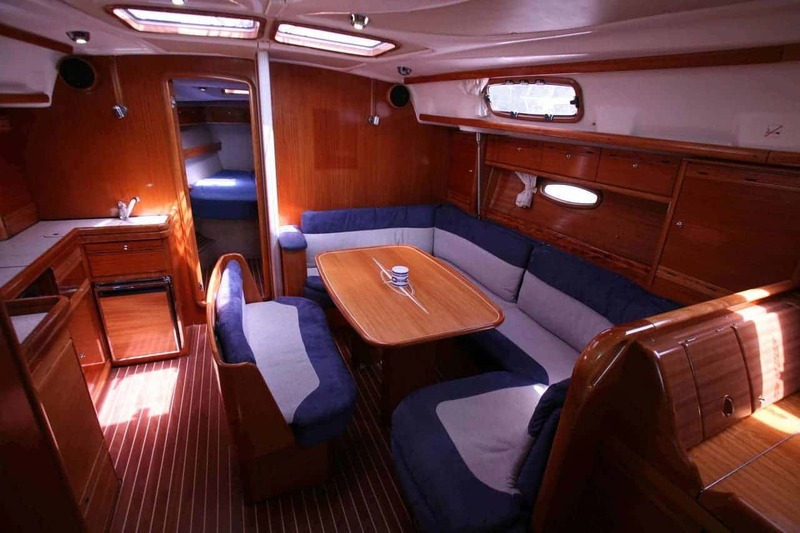 At 42 feet she is the largest of our flotilla yachts and very popular due to the 4 cabin layout which can easily accommodate 2 families.